Upon uninstalling the app we will remove all of your data and images from our server. These cannot be recovered. 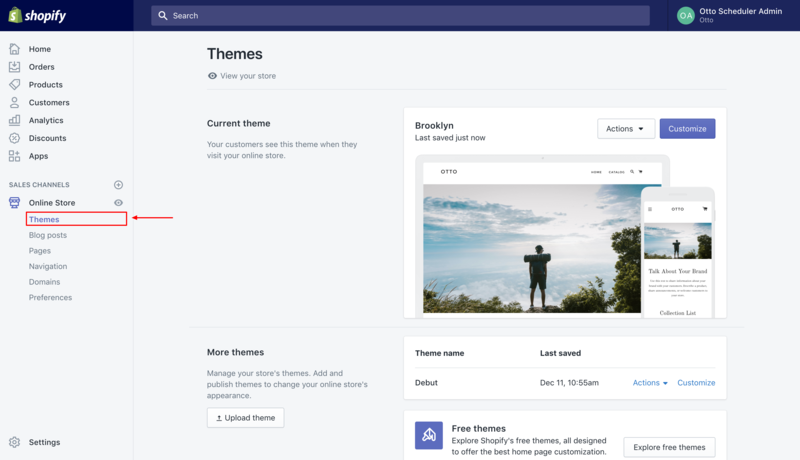 Please follow the below instructions for how to clean Otto files out of your theme. It's recommended but not required that you remove all of your images from the app before uninstalling. 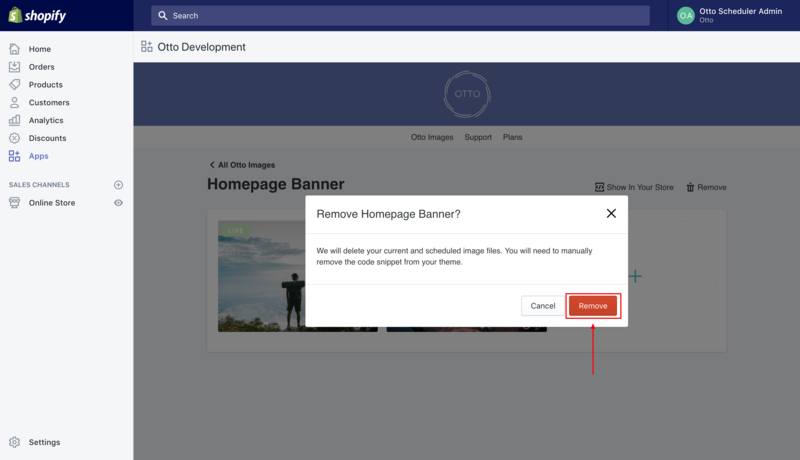 When you remove an image, we automatically remove the Otto created image files from your assets folder in your theme files. 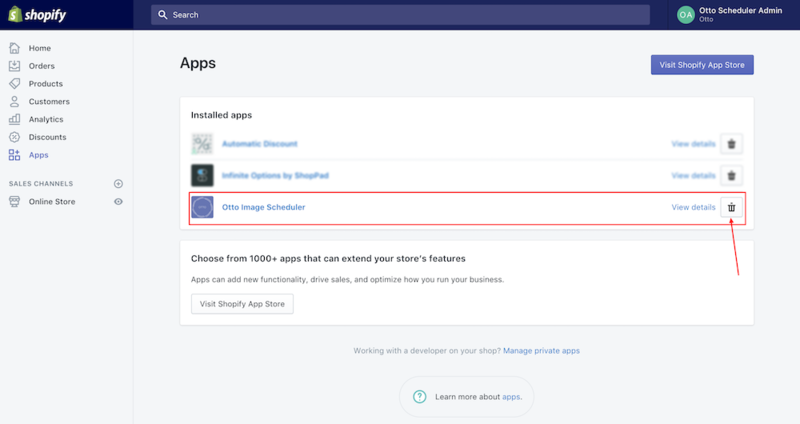 Go to Apps in your Shopify dashboard and click the trash icon to uninstall Otto. 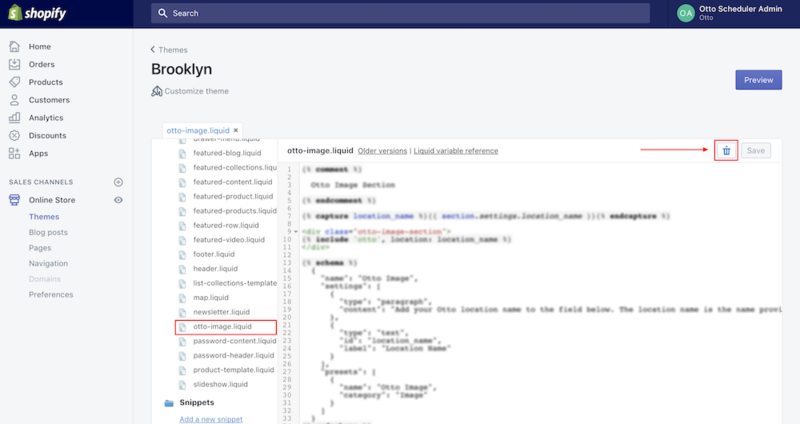 This will remove all of your images and data from our server. These cannot be recovered. 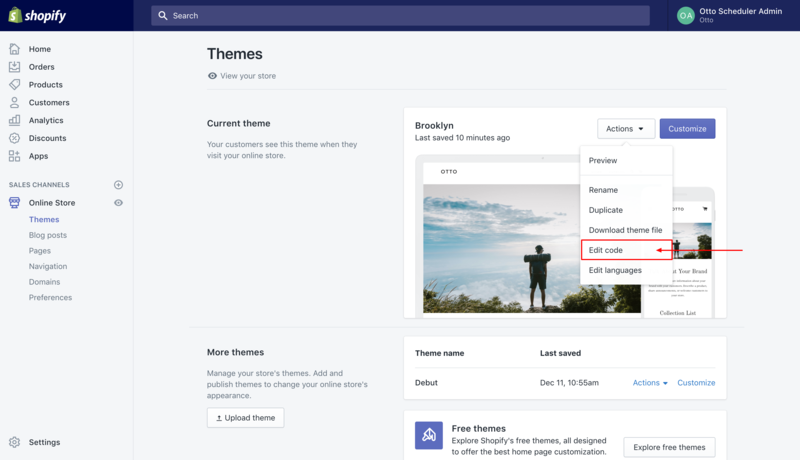 Upon installation of the app we added two files to your themes code. 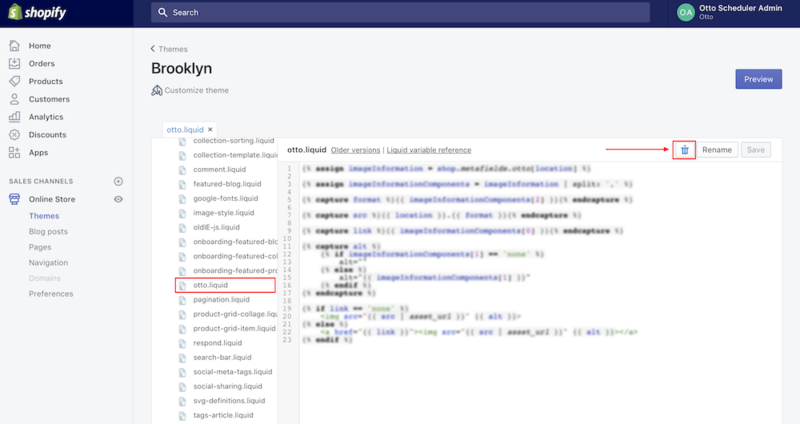 The first is otto.liquid within your snippets folder. 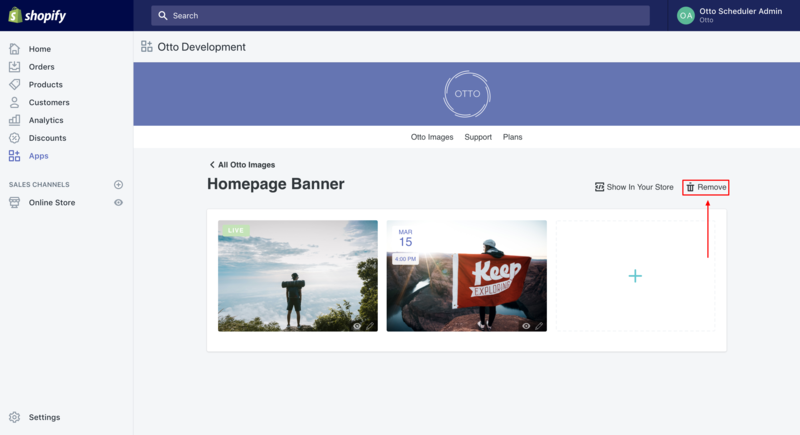 The second is otto-image.liquid within your sections folder. You can remove both of these files.